The 3038 Printer Applicator with Stepper Tamp can print and apply labels to products of random sizes on the same conveyor line eliminating time-consuming positioning adjustments! It gives you the ability to print and label products of random sizes allowing you to mix various products on the same conveyor line reducing downtime. 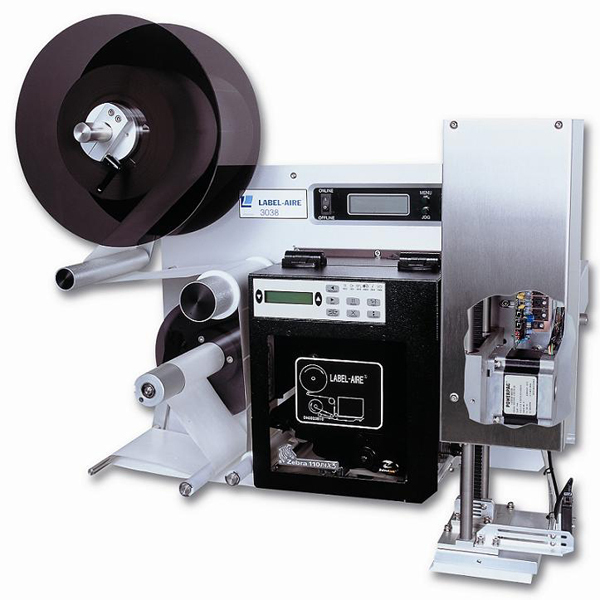 This labeler has all of the original 3038's features such as enhanced two-line digital display with full error messaging, user programmable PLC outputs, standard velocity compensation with optional encoder which results in accurate label placement through changes in product velocity, and multi-page memory (for saving setup parameters). All these handy features greatly simplify setup and changeovers. The 3038's tough corrosion resistant, stainless steel and anodized aluminum construction provides durability and maintenance-free operation for the most demanding print and apply applications.